Three billion people, or 40% of the world population, rely on traditional use of biomass for cooking. 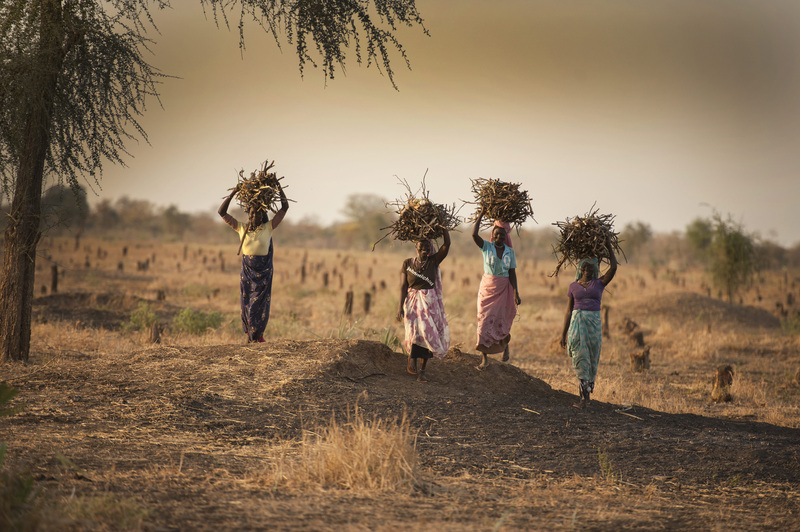 The rural poor, mostly women, largely only have access to fuels that are inefficient in converting to energy. Lack of access to cooking fuel forces women and children to spend many hours gathering fuel - up to 5 hours per day- or spend significant household income purchasing fuel. Women provide 91% of households’ total efforts in collecting fuel and water, and women have an average working day of 11-14 hours, compared to 10 hours on average for men. A reduction in time spent collecting fuel and cooking enables women to spend more time with their children, tend to other responsibilities, enhance existing economic opportunities, pursue income-generating or educational opportunities and leisure activities and rest – all of which contribute to poverty alleviation. As an organisation working on climate justice, the Mary Robinson Foundation – Climate Justice is concerned that many of the initiatives working to improve access to sustainable energy will not benefit the largest but poorest socioeconomic group, the so-called bottom or base of the economic pyramid. Identifying specific measures to reach those least able to pay for energy and low-carbon technologies is a priority area for the Foundation. This is the second policy brief produced by the Foundation which explores how social protection systems can be leveraged to rapidly and efficiently extend sustainable energy services to a country’s poorest people – people who will not be reached by market based mechanisms alone. The global community is tasked with ending poverty and enabling sustainable development while tackling the climate crisis. To deliver this action on the scale and in the timeframe required to avoid dangerous climate change, countries around the world must act in solidarity and invest in the transition to zero carbon and zero poverty in all countries. While developed countries must rapidly peak and reduce their emissions, developing countries are being asked to develop without emissions. This is the greater challenge and they must be enabled through unprecedented levels of support from the international community. To ensure that all people are enabled to take part in the transition to a zero carbon and zero poverty future, innovative, targeted approaches will be necessary to reach the very poorest people and communities. Social protection systems can be leveraged to rapidly and efficiently extend sustainable energy. Adopting this approach to complement existing energy access strategies will enable governments to roll out energy services at scale, reaching the furthest behind first. A climate justice approach to achieving universal energy access can advance climate action and sustainable development simultaneously.